UCLA came off of its two week hiatus by traveling to Utah to face nationally ranked competition in back to back games. The Bruins faced #12 BYU on Saturday in Provo and #15 Westminster on Sunday in Salt Lake City. 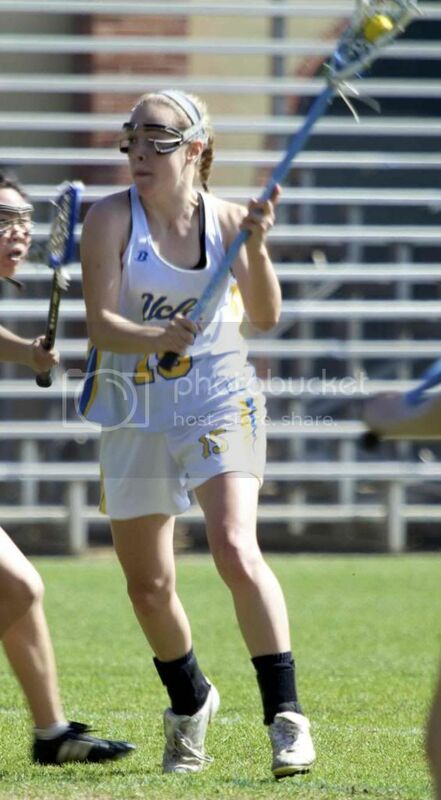 The Bruins braved harsh windy conditions against BYU, which forced both teams to work hard for possessions and shots. Competition was fierce from the first whistle. The Cougars scored first, but the Bruins were able to mount a 5-2 lead with 12 minutes remaining in the first half. Back and forth play followed, with both teams scoring goals, and UCLA headed into halftime with a narrow 8-7 advantage. BYU dominated the draw in the first half, but the UCLA defense was able to hold thr Cougar attack to limited opportunities on those possessions. In the second half, BYU scored three quick goals to push ahead 10-8, but the Bruins knotted the score at 10 with 20 minutes remaining. Despite winning more draws in the second half, the Bruins were unable to convert on the cage, and the game ended in favor of BYU 13-10. On Sunday, a similar story line began to unfold in the first half against Westminster. The Griffins won the majority of draws, leading to numerous opportunities on the offensive end. However, the UCLA defense again kept the Bruins in the game with Westminster holding a narrow 9-7 lead at the half. Although the Griffins were able to extend their lead to 11-7 to open the half, the rest of the game was dominated by UCLA. The Bruins began to win the draw, get great looks on attack, and finish shots on cage. Coupled with the defense's ability to clamp down and shut down the Griffin attack, UCLA began its comeback and eventually pulled away with a 14-12 win. Junior Molly Tracy spearheaded the defensive effort on the weekend with a total of 8 caused turnovers, four of which were offensive charges by opposing attackers. Senior goalkeeper Martine Ehrlich helped to keep the Bruins in both games with 22 saves total, many of which came at crucial times to help shift momentum in UCLA's favor. On Sunday, Freshman Emma Dudley paced UCLA with 6 goals on seven shots and added one assist to lead all scorers with 7 points. After going 1-1 on the weekend, UCLA brings its 2014 record to 11-2 overall. The Bruins wrap up their regular season next weekend with a home game against crosstown rival USC Saturday April 12th at 3pm. Graduating seniors Kate Armstrong, Teryn Bence, Martine Ehrlich, and Sharon Woo will be honored at the game.